Under the Development Assessment Rules of the Planning Act 2016, we have a role as a Referral Advice Agency for development applications. This means we may request Council to impose conditions of approval, and in some rare cases we may recommend refusal of an application. It is vital that the construction of a new development in close proximity to powerlines and substations does not jeopardise the safe operation of the network, or the safety of the community. Uncontrolled interactions between development and electrical infrastructure can result in injury or in a worst case, the loss of life. Reconfiguring a lot, if any part of a lot is subject to one of our easements and/or situated within 100m of a substation site. 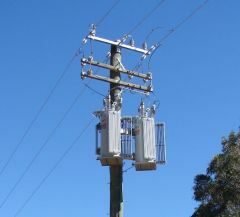 Material change of use, if any part of the premise is subject to one of our easements and/or is situated within 100m of one of our substation sites. Operational work (filling or excavation), if any part of the premises is subject to one of our easements and the work is located completely or partly within the easement and/or the work is located completely or partly within 10m of a substation site. For a full list of referral triggers, please see Schedule 10 of the Planning Act 2016. Under the Planning Regulation 2017, we are triggered as a Referral Agency for a development that would potentially affect the operation of the electricity distribution network. SARA covers state departments only, however referrals are also required to other agencies. We are one such referral agency. For example, an applicant may be required to refer a development application to the SARA and us. For more information refer to our Referral Fact Sheet – Planning Act 2016 (PDF 475.8 kb). Bulk supply substations and zone substations require referral. A bulk supply or zone substation distributes high voltage electricity throughout the network. The below images depict the general scale and characteristics of a bulk supply or zone substation within our electricity network. Developments on land affected by easements that are owned by us, or our predecessor companies (see list below), will need to be referred to us if triggered in accordance with Schedule 10 of the Planning Regulation 2017. 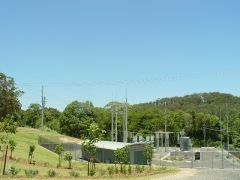 South East Queensland Electricity Corporation Limited. 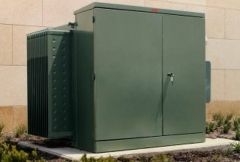 Transformers receive 11kV supply from zone substations and transform electricity to lower voltages suitable for residential, commercial and industrial uses. 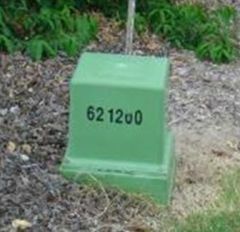 Service pillars represent a physical point of connection for customers to the network. The below images depict the general scale and characteristics of transformers (which can be both pad or pole mounted) and service pillars within our electricity network. To make an enquiry regarding electricity infrastructure (i.e. easements and substation) referral requirements, please complete our online Request for Information Form. We are committed to reviewing and processing referral enquiries within 5 business days. During the 2016-17 financial year, Energex was referred approximately 180 development applications and referral related enquiries. 71% of referrals are responded to within 10 business days with the average response time being 8.5 business days. The Infrastructure Designation (ID) process is a Queensland Government planning approval process, where by we seek approval of a State Government Minister to identify land for community infrastructure such as a new power line or substation. It's important to protect land subject to an infrastructure designation. Incompatible development can make land unsuitable for the purposes it was designated. 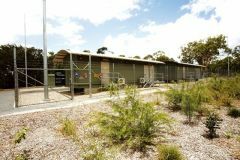 It can also place additional cost on the community should buildings need to be moved later, for example, residential buildings within an easement for a future electricity line is not appropriate. In an instance where a development application is affected by an infrastructure designation, its referred to the Department of Natural Resources, Mines and Energy, who are then responsible for providing a response to the applicant. As the Department of Natural Resources, Mines and Energy form the assessing referral authority, we are called upon to provide the department with any technical input. We re happy to receive pre-lodgement responses (via our online Request for Information Form) from applicants to resolve issues prior to lodgement. The following fact sheets provide information to consider when proposing a development around electricity infrastructure.